NEW YORK -- It was not anxiety about his own future that made Tony Choi well up at a rally in front of Trump Tower in early September. Rather, he was thinking about the sacrifices of his mother, who had put in long workdays year after year to raise two children alone in this country. "I thought I wasn't going to cry," he said, recalling the night with other immigrants railing against President Donald Trump's decision to end protection for undocumented immigrants. But after seeing police rounding up and arresting many of his fellow immigrants, he became overcome with emotion. That day, Trump made good on his campaign promise to end DACA, the Deferred Action for Childhood Arrivals program that shields some 800,000 people from deportation. Trump gave Congress six months to pass the so-called DREAM Act, which would give permanent protection to those brought to the U.S. as children, known as "Dreamers." "It wasn't because I was thinking of me and my future, but I was thinking of all that my family had to go through," Choi said. He was reminded of his mother's "hobbling walk" from the arthritis she developed after years of work as a waitress, and shaving of her head and undergoing a mastectomy after a diagnosis of breast cancer. "I felt like it was a betrayal to her dreams," he said. Thus for Choi, 29, a full-time staffer at Asian-American organization 18 Million Rising, the response to Trump's decision to scuttle DACA is not to recoil with fear, but to press harder on Congress to pass a permanent solution. Generally wealthier and more conservative than other ethnic minorities in the U.S., Asian immigrants are not known for political activism. But Trump's constant attacks on immigrants became a rallying cry for a group that is no stranger to discrimination, as was the case with the Japanese internment of the 1940s and Chinese Exclusion Act of 1882. Exactly one month after the arrests of his fellow advocates, Choi was again in front of Trump Tower, joined by a few hundred other protesters in a rally organized by the Asian American Federation. 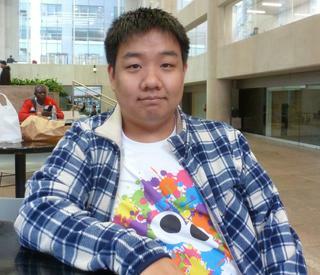 Brought from South Korea to the U.S. at the age of 9, Choi didn't truly understand what his family's undocumented status meant until middle school, when he let it slip to his teacher that he had been falling asleep in class because he was staying up late to wait for his mother to return home from work. His sister was furious with Choi. Nobody was supposed to know their mother was working. "My sister yelled at me for telling the teacher, and that's when I really understood this is something I shouldn't share with other people," he said. The median age of entry to the U.S. among DACA recipients is 6, according to a 2017 online survey, meaning most have little or no memory of the countries they were born in. Choi was attending college in Kentucky in 2008, when his small liberal arts college -- reeling from the financial crisis and looking for corners to cut -- ended its pilot program of providing stipends to undocumented students. "I was that corner," he lamented. To make matters worse, his mother was diagnosed with breast cancer and left unable to work. And a glimmer of hope following President Barack Obama's election was soon replaced by deep disappointment as the deportations of illegal immigrants rose on his watch. Unwilling to give up his college education, Choi went public with his story and organized a campaign -- ultimately successful -- to get the stipends restored. He was able to graduate. In 2010, Congress again failed to pass the DREAM Act, which was first introduced in 2001. That's "when I realized, ... It's time for me to take charge of the situation," Choi said. He became a full-time advocate for undocumented immigrants. Jisu Kim, a 23-year-old sociology student at Hunter College in New York and a part-time worker at the MinKwon Center, a Korean-American community organization, is another "Dreamer" who decided to speak out about her struggle as an undocumented immigrant. Kim came to New York from South Korea with her family when she was in the fourth grade. "Initially when [Trump] announced the ending of DACA, I was really having a hard time processing it," Kim said. But "I know I'm not the only one, and that our voice is getting stronger and stronger." Some of her undocumented friends are not comfortable with publicly discussing their status, she notes. "I do wish they participated a little more," Kim said of her friends -- documented and undocumented. "They do believe that change needs to happen, but it seems like they're not doing too much about it." "Being quiet doesn't really help," Choi says. "Sure, it might shield us from that big media narrative, but when Mrs. Kim gets pulled over for driving with an expired license and arrested, who's going to fight for her?" unless Congress steps in. 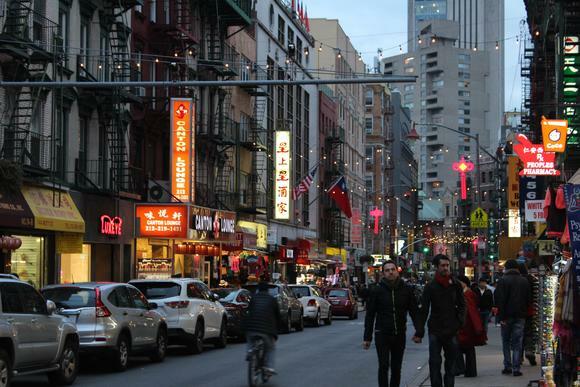 New York City Councilwoman Margaret Chin is among the elected officials urging prompt action. Chin represents parts of Lower Manhattan including Chinatown, and is one of only two Asian-Americans on the City Council. As the daughter of an undocumented immigrant herself, she understands their struggles. "It was really emotional and very uplifting to see these young people willing to fight to stay in this country, and also what they have contributed to this country," Chin said of the "Dreamers" who volunteered to share their stories at the October rally. "It's just unconscionable if the president wants to send them back to a country they don't even know when they have grown up here and been here, almost like American citizens and regular New Yorkers." In a letter to Congress, Trump has outlined a list of conditions under which he would be willing to extend the protection, including authorization and funding for a wall on the Mexican border, an e-verify system to ensure proper documentation for employment and changes to the visa system to tighten restrictions against so-called chain migration by family members. As lawmakers in Washington engage in horse-trading to come up with a bill that can pass muster with a divided Congress, advocates from across immigrant communities are pushing for a "clean" DREAM bill to protect the "Dreamers" from deportation with no conditions attached. "Our lives are not political chess pieces that Trump can use to get his wall built," Choi said, adding that "there's a lot of hope," given support from both Democrats and Republicans. Passing the DREAM Act is not only a moral issue for its advocates. "Whether the president likes it or not, people are already here, people are contributing to society, doing a lot of jobs that oftentimes Americans are not doing," Chin said. Many economists agree that deporting the "Dreamers" would exact a toll on the American economy. The average DACA recipient is 22 years old, employed, and earns about $17 an hour, according to the Cato Institute. The majority are still students, and 17 percent are pursuing an advanced degree. The country's cumulative GDP would be reduced by $433.4 billion over the following 10 years if DACA workers were to lose their work permits and jobs, states a study by the Center for American Progress from earlier this year. In New York state alone, the estimated financial damage would top $2.37 million per year. "All these young people that have grown up here, [were] educated here, they are going to be contributing so much to this country," Chin said, adding that the pool of talent provided by the young immigrants is a resource that the country can hardly afford to lose. "It would be crazy for us not to continue to fight for them to stay." Of the 11 million undocumented immigrants in the U.S., an estimated 1.5 million are of Asian descent, according to Bob Warren, a senior visiting fellow from the Center for Migration Studies. South Koreans top the list of "Dreamers" from Asia, with 7,310 DACA recipients, according to government records. The second-ranking Asian country of origin is the Philippines, with 3,880 beneficiaries. Indian recipients number 2,640, with Pakistani recipients coming in at 1,340. On the other hand, despite being the second-largest Asian undocumented group, with 385,000 people, fewer than 1,000 Chinese are registered for DACA. Trump has deftly exploited the frustration of working-class Americans stuck in low-paying jobs as well as fear of immigrants to appeal to his political base. He has asserted that DACA beneficiaries have "denied jobs to hundreds of thousands of Americans," a claim dismissed by most economists. The vilification of immigrants by Trump "has hit a nerve with our community," said Jo-Ann Yoo, executive director of the Asian American Federation. 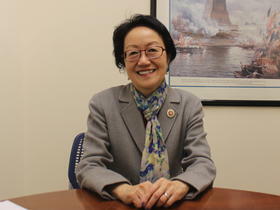 "I think the Asian-American community has been emboldened," she added. "The anger has really reached" the community.